I realize I've been slightly dead to the world, but weekends seem to be the easiest time for me reflect via writing. In the vein of my former WGOs, let's take a look at the songs that have seen the most iPod abuse recently. Well, seen the most abuse and aren't in Korean (or more specifically aren't from Super Junior's back catalogue -- I've become a woman possessed). 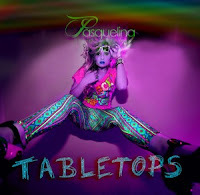 As much as I loved "Young & n' Love" (still available for free @ Pasquelina.com), her first real solo release, "Tabletops", released to iTunes last month, has more of a synthy, gritty, club-floor appeal. It's kind of along the lines of if Ke$ha and Dragonette had an adorable, sunny, dancefloor-obsessed flower-child daughter together -- all of the playful sass (with none of the annoying petulance) set to stutter chant and a unrelenting, pulsating back beat. Go ahead, jump up on the tabletops and dance. You know you want to. Best Bits: "Now where'd I put my party hat?" / "Wearing crazy sun protectors where the sun ain't even shining" / "Hi, My Name is Pasquelina and it is so nice to meet ya; Hi, My Name is Pasquelina and I am no Mysterina"
You can download the song on iTunes now, but to preview it, you can listen to this YouTube cut of the song being premiered at the NYC club Pranna last month. Let's be real. I wasn't exactly championing for an Aubrey O'Day solo album. Danity Kane fan, I most certainly was, but Aubrey wasn't exactly the powerhouse vocal of the group and I found much of her antics - shall we say...frustrating? Despite all this, I applaud her for just being herself with no apologies, and coming back strong with a surprisingly thumpy, layered dancefloor single "Automatic" that wouldn't sound too far off on a third DK disc (check out this stellar DJ mashup of "Automatic" and DK's "Damaged"). She's not breaking down any barriers in terms of the lyrics, but it feels so good, it's hard to argue semantics. Like "Tabletops" above, it's a dance song simply for the sake of dancing. Ain't nothing wrong with that. And I would like to state for the record, I can't wait for the full album if this is any indication. 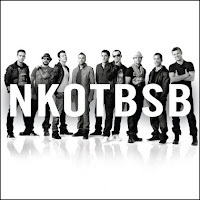 NKOTBSB - "Don't Turn Off the Lights"
The sheer concept behind the melding of New Kids on the Block (NKOTB) and Backstreet Boys (BSB) literally sounds like something a desperate fangirl (in her late 20's/early 30's) made up. And yet it's real. The joint tour, I get. While a part of me is still a little bitter that it's being dubbed as the ultimate boy band tour (um...no -- rise *NSYNC from the dead, sprinkle in some Boyz II Men, reunite NLT and 5ive, and bring over some KPOP boys -- preferably SHINee, Super Junior, 2AM, perhaps some B2ST and if you aren't too busy, sent JYJ and duo!TVXQ, just don't tell them both the other is coming -- and then we'll talk...in fact, I won't be able to talk, because I'll be too busy Googling front row tickets), it would be a total lie if I said the prospect wasn't intriguing, mostly because I'm in the age bracket they are chiefly championing for. I've got news for LiveNation if they really think this is what's going to "reignite" interest in boy bands in America (it won't -- people who are going to see this probably liked both of them already to begin with). Even still, it's fun in that guilty pleasure, I-can't-believe-these-groups-are-officially-nostalgia-inducing kind of way. Then out jumps this little Claude Kelly-penned summer jam, featuring both groups as a promotional cut for the tour. And it suddenly feels like 2000 (or 1990, depending on which group you favored) all over again. Basically, teen idol enthusiasts of today -- you can have your Justin Biebers. Allow us (old fogeys) this moment of squeeing. Best Bits: The "N.K.O.T.B.S.B.Baby." 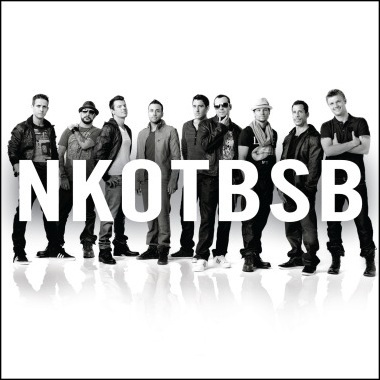 intro, the nostalgia factor, and the mere fact that it's two of America's biggest boy bands on one cheesy mid-tempo...and they're doing it because they want to. What exactly can I say? We both know I'm a huge Gaga fan, not necessarily for her increasily out-of-control over-the-top-ness, but for the hooky, unapologetically pop music she seems to spit out. "Born This Way" scared me a little -- not because I didn't like it, but because it felt a little too Gaga-the-created-popstar-image, rather than the Gaga we already know and love. 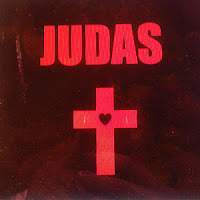 "Judas" brings us back to what she's good at, mostly because it's the third version of the Gaga/RedOne prototype (see "Poker Face" and "Bad Romance"). And yes, the album art for Born This Way is...unique, at best. Yes, the album cut titles are...descriptive. But at the end of the day, it was the music that made me a fan, and so long as the music is good, I could care less about what chart position she is in. I fear she will fall victim to the Girls Aloud curse -- too much focus on her popularity and sellability, and not enough accolaids on the fact that she is making pop that sears, burning into your brain through your ear canal (and callusing the soles of your feet) with a wink and a sneer. She may have turned herself into a caricature, but lest you forget, it was us who championed it. We were the ones who hungered for the next crazy stunt. At the end of the day -- "Judas" scorches because it follows the familiar formula. In Gaga World, it's the equivilant of playing it close to the chest. And it's still kind of bewildering in comparison to all the competitors. Best Bits: "Judas, Juda-Ah Ah / GA GA! ", that back beat, and the spoken, semi-nonsensical bridge. I really do not believe it was Gaga fans that cheered on her crazy behavior. gaga fans always want her to be herself, she is the one who feels the need to out do herself. Sadly, i feel like her music is suffering because of her behavior. I loved "The Fame" and "The Fame Monster" but hated Born This Way. 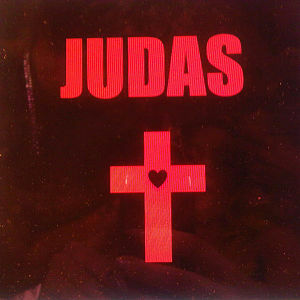 It took quite a few plays for me to like Judas at all. I think she should stop trying to up the anty and focus on her music.